Attention Experts is a social media marketing management agency, a known leader in its industry. 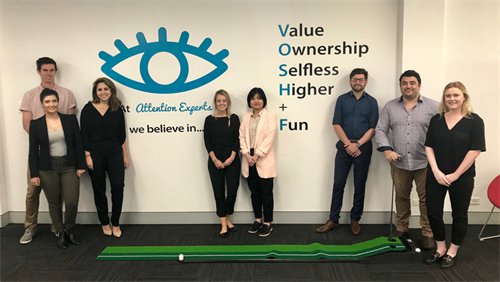 Specialising in policy design, consulting and community management, the end product delivered is a client’s business growth through amazing social media campaigns and strategy. Attention Experts is at the forefront of the social media marketing industry, having achieved this through exceptional customer service, transparent delivery, best practice strategy design, and quality campaign implementation. 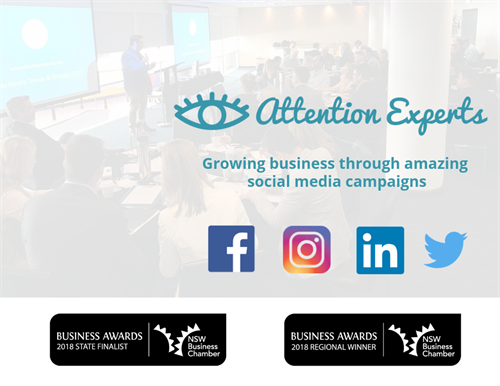 Over the past twelve months, Attention Experts was the most 5-star rated social media agency on Facebook in Australia and a finalist at the 2018 NSW Business Chamber Business Awards.